She made them better than anyone else could: small and perfect rounds, soft and sugared. And then she’d make them in miniature, the size of an American quarter, just for the little people. We called her Tiny Grandma, and her hallmark cookies? Ginger. Melt and cool margarine. Add sugar, eggs and molasses and beat well. Add dry ingredients. Chill dough, then form into 1” balls. Roll in white sugar and place on a greased cookie sheet. Bake at 375° for 7-8 minutes. Do not overbake; when they crack, take them out, and let them finish baking on the cookie sheet. Sometimes I make ginger cookies when I miss her. And this season, I copied my aunt and tried something new: filling them with lemon buttercream and sticking them together as sandwich cookies. Or with coconut cream filling. You won’t believe it—heaven! 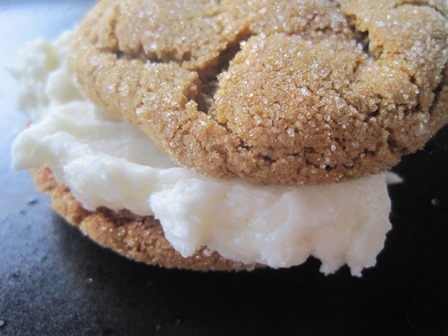 Frost the underside of one cookie and stick it to another—making some sandwiches with coconut buttercream and some with lemon. Place cookies in an airtight container and leave alone for a day to soften, so the filling does not squeeze out when you eat them… if you can wait that long [wink]. 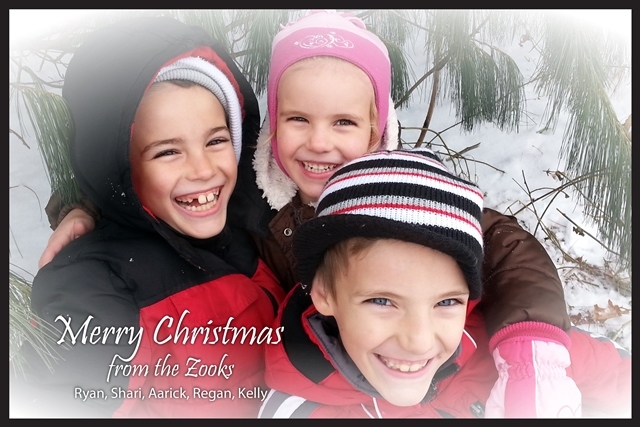 And that’s all the news from the Zooks for the year! Merry Christmas, folks. See you in January! 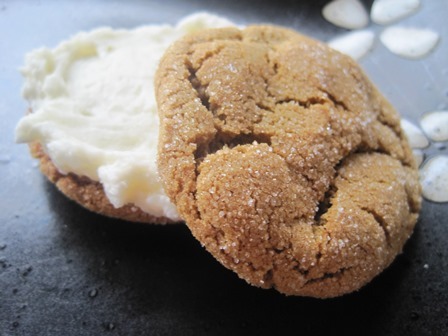 Corrupting Ginger cookies with filling. The party happens at my house….. bring any left overs. These showed up at our cookie exchange last year and I loved ’em! 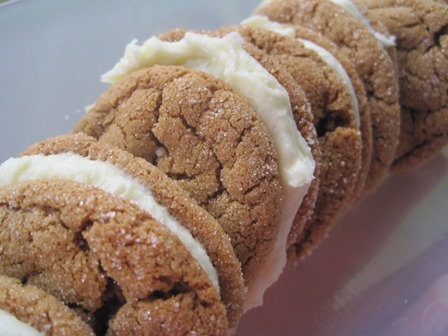 So I made them again this year – only my recipe has a cream cheese icing with cinnamon and they are a sandwich cookie to begin with. The first day they were a little crispy or chewy, but the next day, Wow! Wonderfully soft and a perfect match to a cup of coffee. 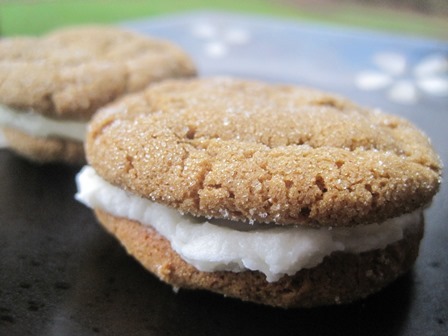 I love any kind of icing sandwich cookie but never considered ginger. Must try.